St. Peter’s United Methodist Youth Choir from Katy, Texas, (a suburb of Houston). What beautiful music these young people make! They presented a 3/4 hour presentation on Wednesday, June 8. 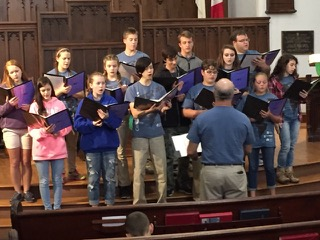 The choir and their director, Susan Patrick (Rose and Elwin Hall’s daughter), were travelling throughout southern Ontario with a stop in Owen Sound.